Support for British Asian LGBTI community. Why is this minority group so under represented and what is the common experience? 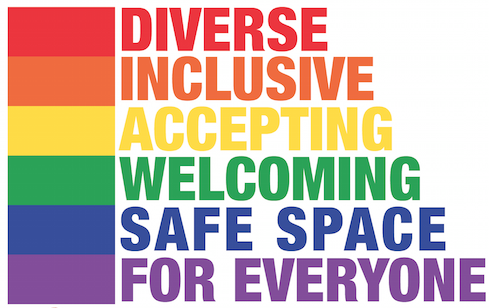 This online forum aims to help unite this community and reduce isolation and discrimination faced, defend global LGBTI rights including repealing Section 377 in India and Asia, specializing in intersectionality of race and sexuality issues. This group does important work on queer visibility and aims to reduce homophobia and racism, improving understanding of South Asian LGBTI mental health issues as well as promote acceptance. See also the #salgbtuk hashtag for related groups including Birmingham South Asians LGBT Finding A Voice (FAV), Gaysian Faces and Gaysians.org . This year, the groups teamed up to help mobilise around 100 “Gaysians” who took part in Pride in London parade, with a presence at Birmingham Pride. The British Asian LGBTI community Facebook page and Twitter was founded in September 2013. As an acknowledged LGBTI individual living in the UK, I was once listening to my mum’s favorite Indian radio station (with her). All of a sudden, I heard an anti-discrimination charity representative telling my own story of my experiences of being an LGBTI British Asian. They said that people who identify with their British LGBTI upbringing, as well as their Asian heritage are often subject to the double edged sword of discrimination. A survey found that there are especially high levels of isolation, with members often subject to not only racial discrimination from the LGBTI communities but also a deep routed homophobia present in many Asian communities. Although with a highly supportive family and friends my own experience is quite moderate, it really made me think- there are many more such lonely members out there! So I decided that if my mum’s favorite radio station can defend this groups rights- then so can I!! So I set up this Facebook page! As a forum to share stories of challenges faced and positive role models to inspire others, British Asian LGBTI evolved into an online collaborative project on Twitter, entirely run by a dedicated group of volunteers since September 2013. This new website aims to present this material in a more accessible form while still aiming to reduce inequality, discrimination & isolation. Our sister page Birmingham South Asians LGBT – Finding A Voice is a support group based in Birmingham run by Khakan Qureshi and meets once a month in person. Many other groups can be found using the #salgbtuk hashtag on Twitter. We have been increasingly covering issues related to global LGBTI rights. On that note, would just like to share this short video about the Yogyakarta Principles, a universal guide to human rights which affirm binding international legal standards with which all States must comply.